A member of the luggage handling team at Ibiza airport was fired after three days on the job when the person whose luggage he was stealing from managed to film him while he opened his suitcase. Ibiza, the party island in the Mediterranean known for house beats and all night raves, draws mostly a younger crowd carrying a lot of electronics which they take with them to the beach. Unlike the rest of Spain, seat rental and beach occupation start much later as the youngsters' party all night in the major discotheques around the island. Wanting to continue the party on the island’s many beaches, a lot of the teenage visitors bring mobile phone speakers, which is what this unnamed teenager had done. Related coverage: Related coverage: <a href="https://thegoldwater.com/news/34756-UK-Fury-As-Ryanair-Compensation-Cheques-Bounce-And-Customers-Charged-Bank-Fees#34757"> UK - Fury As Ryanair Compensation Cheques Bounce And Customers Charged Bank Fees</a>. Thanks to the low pricing of Ryanair flights he had been able to get away for one last weekend before school would restart in Madrid. 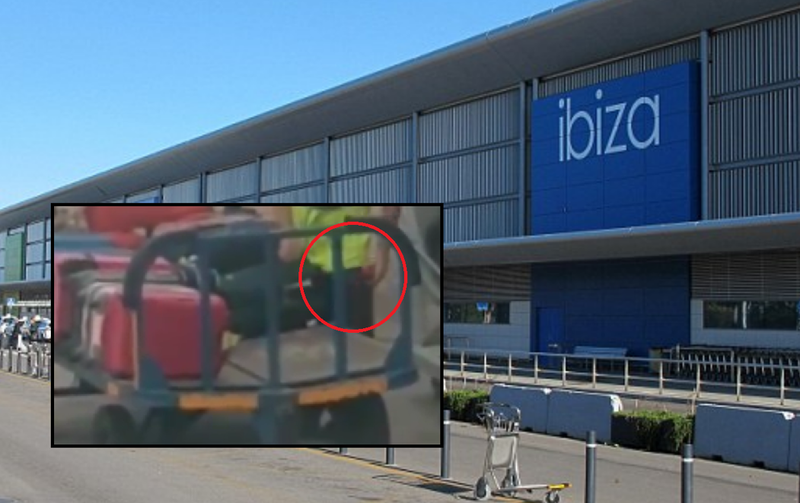 However, his departure from Ibiza was rather unfortunate as he could see the luggage handler opening his suitcase and taking his mobile speakers. The young boy notified the cabin crew who in turn informed the Ibiza police. the man was subsequently fired and the boy’s speakers were returned. It is another blow for Ryanair as the video is sure to make the rounds in Europe. Furthermore, in 11 days from now, on 28 September to be exact, the low-cost European airline faces another European-wide strike as its cabin and pilot crews continue to demand better conditions.